Momma advertised for us on facebook!! I was looking through the American Girl Before and After group Momma is a part of (AGBAA), and saw that someone had posted about their dolls' blog: Candidly Charlie. Well, at that point, I called for Momma, and asked her to please put up a post about my blog! She did, and it looks like we had a few views! Yay for reaching the masses, lol. It's a slow process, but I guess someone has to do it, and it might as well be me, your steampunk reporter! Have a great day, type at you tomorrow! 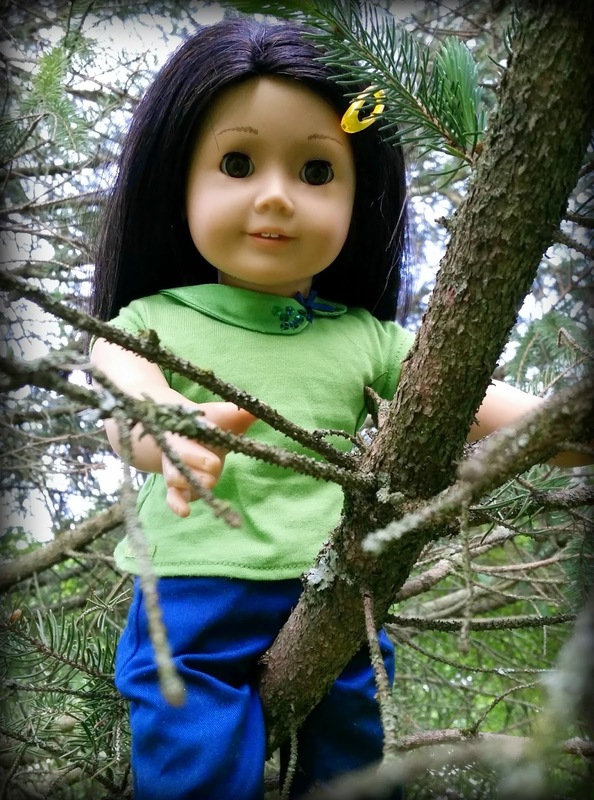 This is Jaelin Gail Tam, starting Jaelin's Journalings! Momma has been reading a few doll blogs (Linnea, Iris, I, and most of the other girls have been too, when she leaves her laptop open), and she knows that I want to be a journalist, so she said that, as long as she can help up edit (since her grammar is a bit better than mine, lol), we can start a blog!! I am so excited! Some of the shows that we love may not be appropriate for younger readers. Again, we're not really the ages she gave us... You will have to check with your parents on them, if I (or one of the other girls) don't tell you that they are not for people under 13, or 15, or 17, etc. Just wanted to be sure you guys know that. 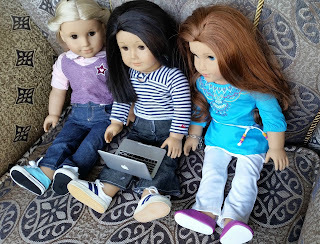 I'm sure Momma will be updating her blog (she said she was going to help us start ours first... until she had issues trying to figure out the site... I could have helped her with that, but she said to let her start first, then when she got the hang of it, we could blog), and will have more info on us and that sort of thing. But for now, this is OUR blog! So there you have it, my first Journaling!!!!!! P.S. 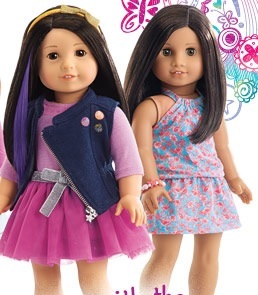 The pic is of me and Dahlia, my best friend, since Linnea, who will be my blogging buddy, is at the doll hospital. Momma will have to explain her side of it... as far as I'm concerned, she was silly to send her with her cousin, Alanna. Alanna's hair was coming apart. Linnea's... was manageable... which Momma didn't figure out until after she'd already sent her in... thank goodness she stopped them from doing anything! Two dolls with sore throats would have been worse than one! 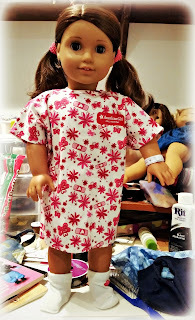 Iris, Alanna's little sister and our other blogger, in is Momma's doll hospital getting a "tummy tuck". P.S.S. Momma's blog is here: Dolls, Crafting, and Writing!